The Peggy Kirk Bell Girls’ Golf Tour had a monstrous weekend of play. 158 girls took to the course in our three events in three states along the east coast, two National Series and one Regional Series. Girls represented 16 different states and their graduation years spanned from 2019 to 2028. There were 9-year-olds getting their first taste of tournament golf in Flordia at the same time that a graduating senior was tearing up the course she’ll call home come the fall at Furman University. ALL competing in ALL girls fields. This is: The PKBGT Weekend Review! Greenville, South Carolina has a little something for everyone in the family. For lovers of nature, a walk through the Greenville Zoo or one of several state parks located just outside of downtown could strike their fancy. Looking for a mellow dinner outside with a view of the sunset? Head to the Greenville River Walk or the strip at Traveler’s Rest for a homestyle meal with a scenic setting. 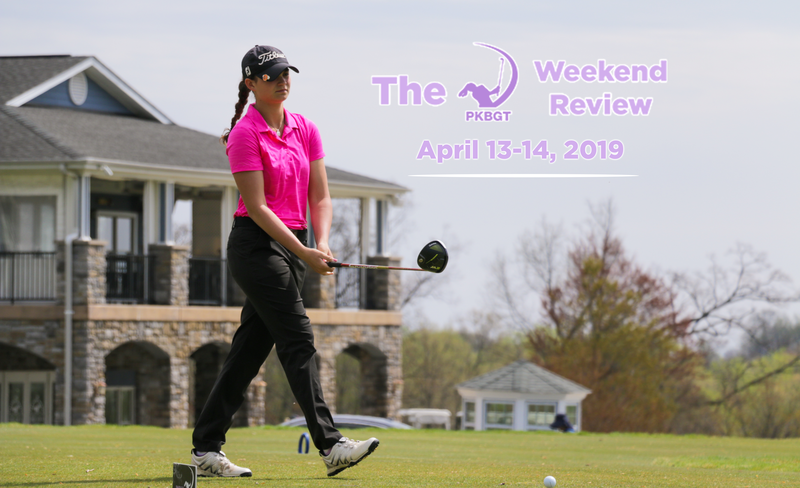 In search of nearly 80 of the top junior girls’ golfers from around the east coast and beyond battling it out on a Division 1 course for two days of heated competition? It doesn’t come around often, but if you were lucky enough to find yourself in Greenville this past weekend, you were in for quite a show at the home of the Furman University Women’s Golf team. 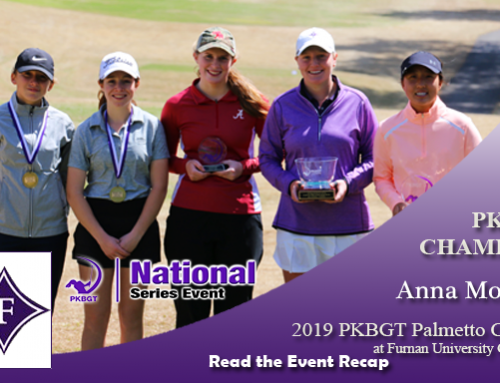 The 2019 PKBGT Palmetto Classic at Furman University Golf Club featured multiple players ranked on the Top 10 of the PKBGT Performance Index, several of whom have committed to play at Division 1 programs next fall. Swirling winds sent clouds of pollen sweeping across the fairways, aggravating allergies and testing the temperaments of the 76 players in the field for the duration of the weekend. Glaring sunshine and toasty temperatures combatted the winds on Saturday afternoon’s opening round of play. A near 20-degree drop paired with light rain and an 8 a.m. start provided an additional challenge on Sunday’s final round. The front nine proved to be a stiff challenge for the entire field on Sunday morning, with just three players making the turn at even par. It all came down to nine holes, one final stretch to pull away from the rest of the field and take home the coveted PKBGT Classic glass bowl! It wasn’t quite a start-to-finish lead for Anna Morgan (Spartanburg, SC 2019), a future Lady Paladin committed to play for the Furman University Women’s Golf program come this fall. Morgan graced the course she will call home for the next four years of her golf career with a stellar three-under-par first round on Saturday afternoon. The bitter conditions and stiff winds got the best of Morgan on the front nine Sunday morning, shooting three-over-par and relinquishing the lead as her group made the turn. Determined to make her mark and set a precedent of winning at Furman University, Morgan turned on the jets for a two-under-par back nine with three birdies over a six-hole span. 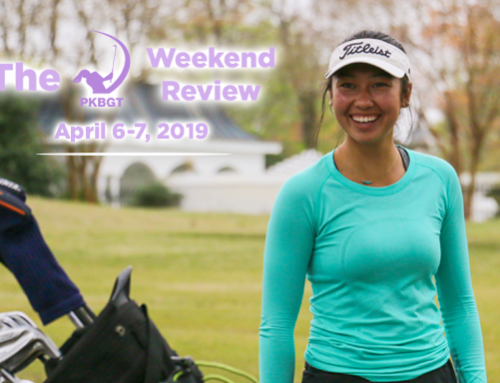 Despite a bogey on the penultimate hole of her weekend, she held on to win the 2019 PKBGT Palmetto Classic in the 48 player Bell National division. 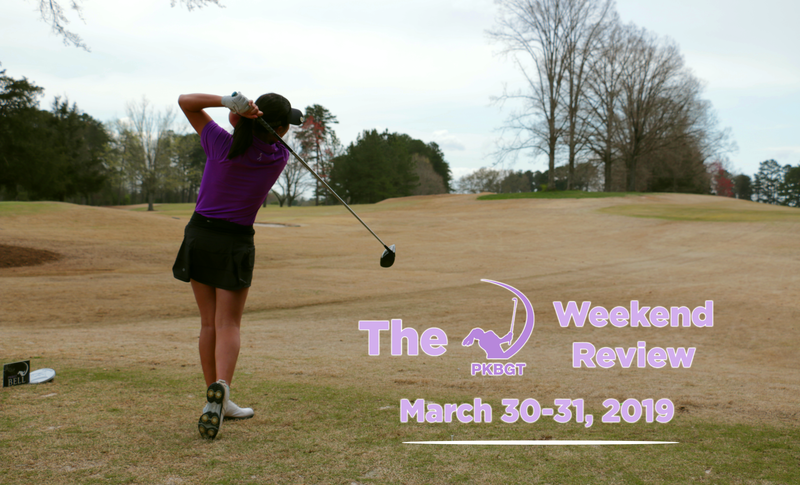 A brief preview of what’s to come in Morgan’s career and the second win in her final season with the PKBGT, the Furman University Women’s Golf team will be gaining an undoubtedly vital component to the continued success of their storied program next season. Much like her elder compadre, Grace Ridenour (Cary, NC 2025) waltzed off the course Saturday evening after a first-round score of 78 (+6) holding on to a two-stroke lead in the 28 player Futures National field. Her four-birdie performance balanced out a rough start where she made double bogey and bogey on the first two holes of her tournament. Following in Morgan’s footsteps, Ridenour struggled to find her groove on the front nine Sunday morning and a streak of bogeys moved her out of first place. It was at that moment, making the turn to the 10th tee box, where Ridenour would make the decision to dig deep within and rally back to the top. A bogey on the 10th green would test her mental strength and from there on out, she went on a tear of one-under golf over the next seven holes of play. 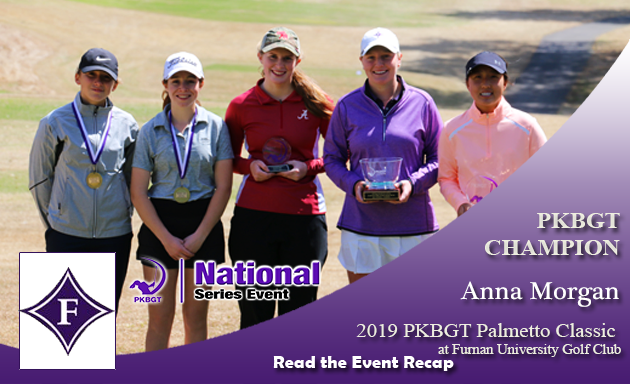 Ridenour closed out her round with a bogey on the final hole of play, but she already set herself apart from the rest of the field, taking home the 2019 PKBGT Palmetto Classic championship and her second win of the 2019 PKBGT season. Miss out on any of the action in Greenville? Read the complete event recap HERE! 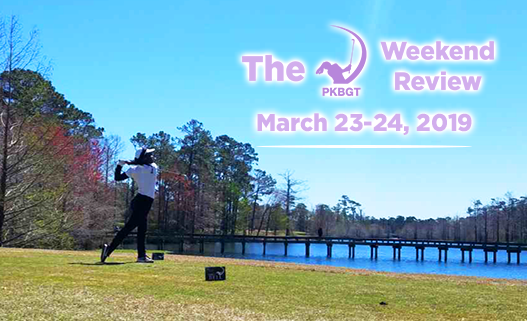 While the PKBGT’s southernmost members battled it out in South Carolina, the northern portion of the tour traveled to Virginia for the 2019 PKBGT Commonwealth Classic at Lake Monticello Golf Course. 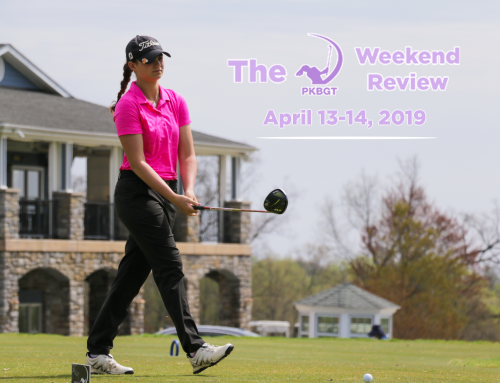 The scenic course in Palmyra, VA welcomed the tour with open arms, as the staff and a plethora of volunteers pitched in to show their support for junior girls’ golf in the Mid-Atlantic. A pleasant breeze traveled off the lake, through the trees and onto the course hidden deep within the forest. Moisture seeped into the surface of Lake Monticello’s facilities but the atmosphere in the air and across the premises was jubilant, topped with a hint of anxious excitement for all that was at stake in the weekend of competition. Two divisions of play each vying for their respective prizes and the honors of earning a PKBGT Classic championship. A glass bowl wasn’t the only thing at stake for the 32 player Bell National field entering the first round in Virginia on Saturday. A mere 36 holes of golf was all that stood between one player and the chance to qualify for an LPGA Tour event. Lurking in a tie for fourth place after Saturday’s first round, Lydia Swan (North East, PA 2022) sat three strokes off of the lead. Understanding the magnitude of the stakes, Swan prepared to make a push to the top in her final round of play. Swan opened up Sunday’s round strong, alerting the rest of the field of her determination to reach the top of the leaderboard. She birdied the first hole of her round, immediately moving out of the tie for fourth place and gradually climbing up toward the top spot. Kickstarting her back nine in similar fashion, Swan birdied the tenth hole on the way to a one-over-par 73 in her final round. She outlasted runner-up Melissa Meng (Blacksburg VA 2020) and brought home the 2019 PKBGT Commonwealth Classic championship in the Bell National division. 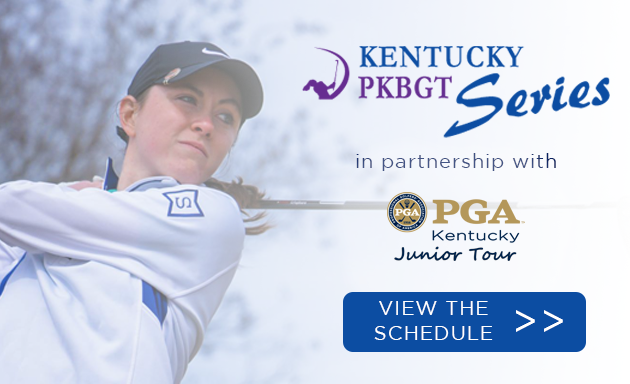 In doing so, Swan earned an exemption into the 2019 LPGA Pure Silk Girls Junior Championship at Kingsmill Resort in May. 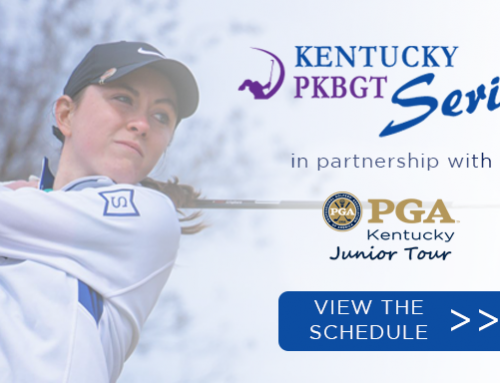 The winner of that event earns the opportunity to play in the Monday qualifier round of the LPGA Pure Silk Championship at Kingsmill Resort. Sarah Lydic (Ocean View, DE 2024) started and finished her final round with a bang. Lydic, who entered Sunday’s final round just one shot behind the leader, jumped into a tie for first place after a birdie on her first hole. From there, it was a whirlwind of an afternoon. Lydic hit a rough patch to close our her front nine and it continued into her back nine, though she remained in a position to compete. The afternoon came down to a two-horse race between herself and Elizabeth Tucci (New Market, MD 2022). Lydic closed out the afternoon with a birdie on the 18th green, creating enough separation from Tucci to comfortably take home the 2019 PKBGT Commonwealth Classic in the Futures National division. For in-depth coverage of all that went down in Virginia, read the event recap HERE! 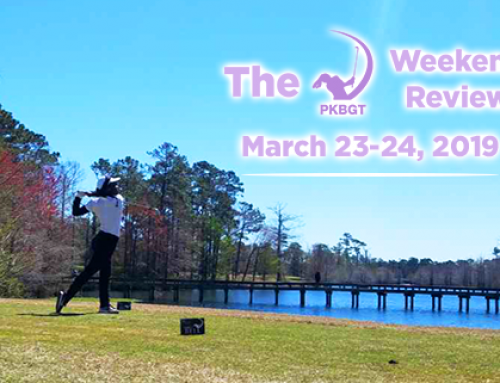 Adding to the excitement of two National Series events on the weekend, the PKBGT Central Florida Series played at Rogers Park GC on Saturday! A field of 25 players gathered in Tampa for another exciting event in the sun on the Central Florida Regional Series! Madison Garrett (Tampa, FL 2019) took first place in the Futures division at the event held in her hometown. Familiar with the area and the course, Garett ran away with the trophy and finished the event with a seven-stroke lead over the remainder of the field. She finished the day with a score of 74 (+3). Make it back-to-back wins for Bretton Mackiewicz (Longwood, FL 2025)! Fresh off her win in the Central Flordia Series at River Hills CC last month, Mackiewicz continued her success on the tour with a first place finish this weekend. Her one-over-par 37 was her top performance of the current season and the win is her third of the year. Find complete coverage of the Central Florida Series at Rogers Park GC HERE! Three tournaments across two divisions guaranteed for movement on the PKBGT Order of Merit Rankings. Under-par rounds, dominant performances, and repeat victors shook up the standings and made for an intriguing Movement Monday! We have a new queen atop the Bell National Order of Merit! 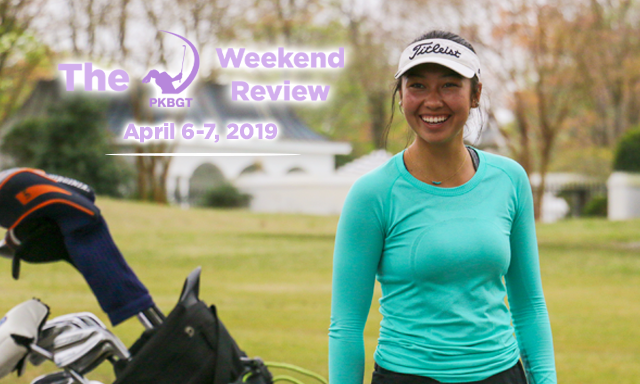 Sara Im (Duluth, GA 2023) capped off her final round at the 2019 PKBGT Palmetto Classic with a five-under-par 32 on the back nine. In doing so, Im boosted herself into runner-up honors for the event and first place in the Order of Merit rankings. Anna Morgan’s second win of the season boosted her into second place on the Order of Merit rankings now halfway through the season. Also breaking into the Top 15 were Kara Carter (Kingsport, TN 2021) who sits in eighth place, Kimberly Shen (Johns Creek, GA 2022) who now sits T9 and Ainsley Cowart (Winston, GA 2019) who now sits 12 in the rankings. Another new face atop the Order of Merit rankings, this time in the Futures National division. Grace Ridenour rode the victory train to the top of the rankings. Her second victory of the season landed her in first place on the rankings for the first time in several weeks. The National Series is back in North Carolina for a championship event next weekend at the 2019 PKBGT Masters presented by Aunt Ruby’s Peanuts. The event takes place at Greenville Country Club, home to the East Carolina Women’s Golf team. The Central Florida Regional Series plays for the second weekend in a row with their event at Twin Rivers Golf Club in Oviedo, FL. The event takes place on Saturday, April 6 in sunny Central Florida and registration closes TONIGHT at 12 a.m.
Congratulations to PKBGT Alumnus Jillian Hollis (Class of 2015)! Hollis earned her first win on the LPGA’s Symetra Tour at the IOA Championship in Beaumont, CA!